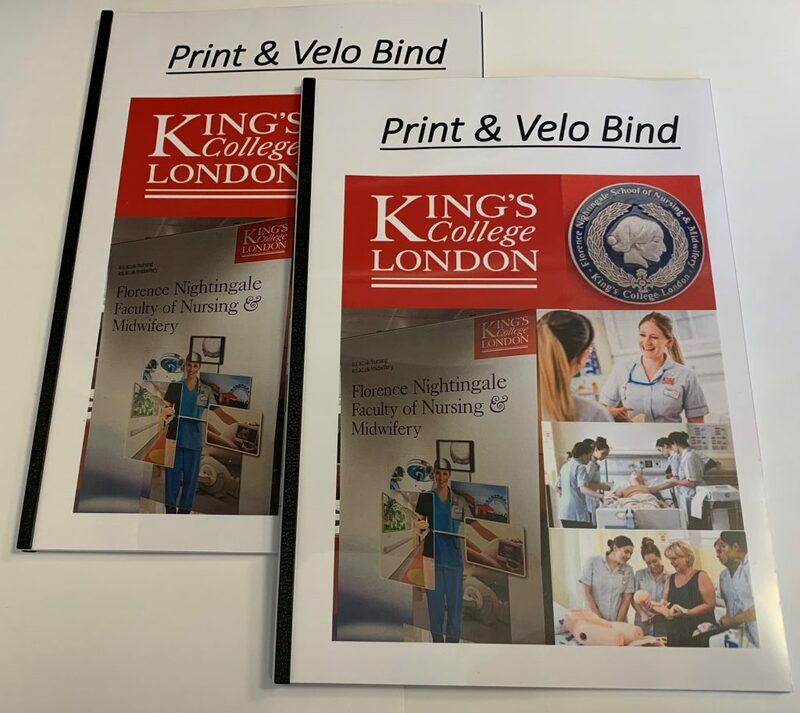 Its that time of year again – KCL Nursing & Midwifery BSC Students, Printing and Velo binding. Offer subject to availability and can be amended at any time. Call 0207 867 3788 for further details or visit our printing and thesis binding shop at 88 Southwark Bridge Road, Southwark, SE1 0EX.